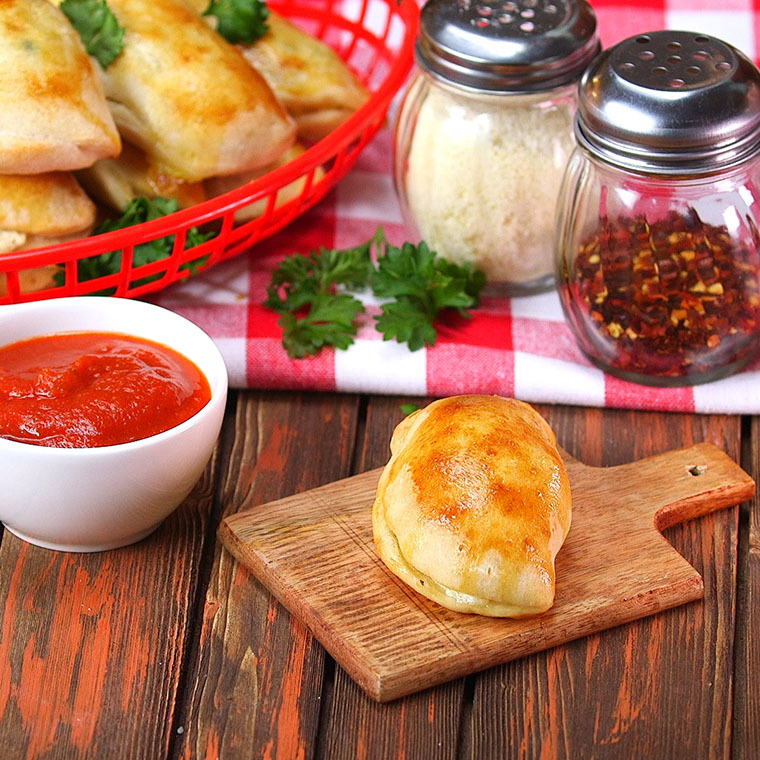 Easy Calzones Are Perfect for the Yummiest Pizza Party Ever! Who doesn’t love pizza. 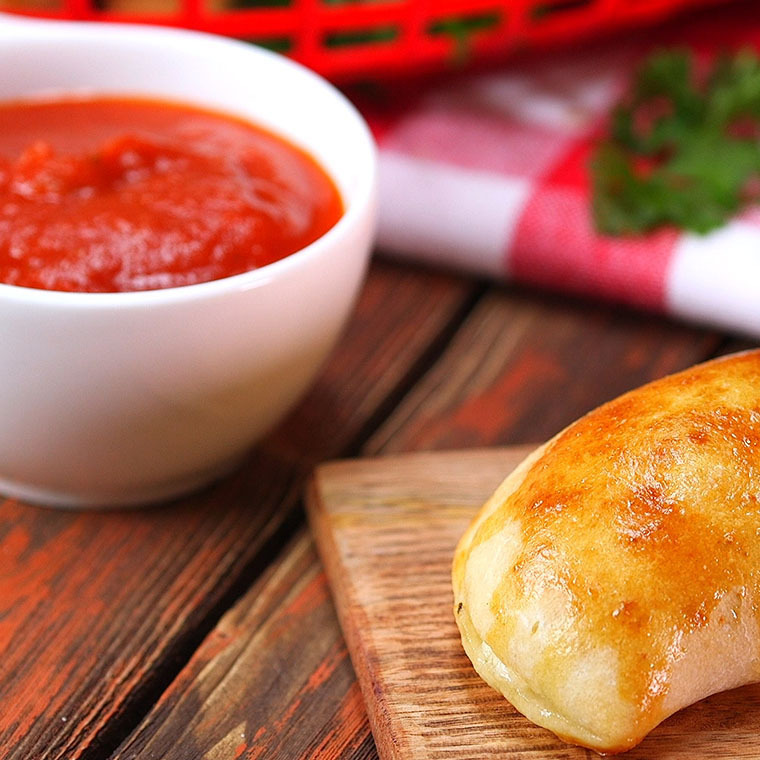 The delicious combination of dough, sauce and cheese is just so flexible to suit so many tastes. 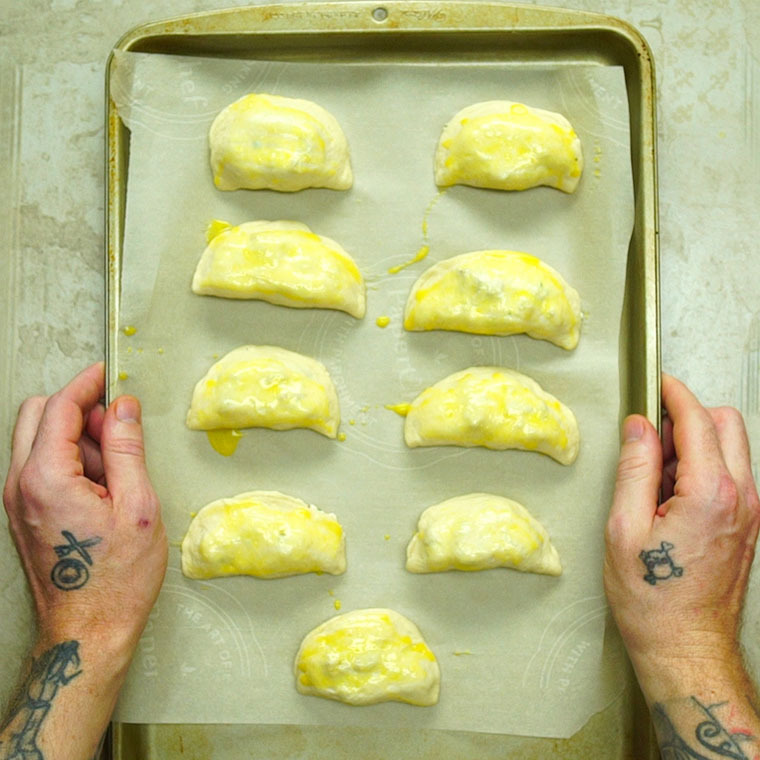 These Easy Calzones are just that…easy! 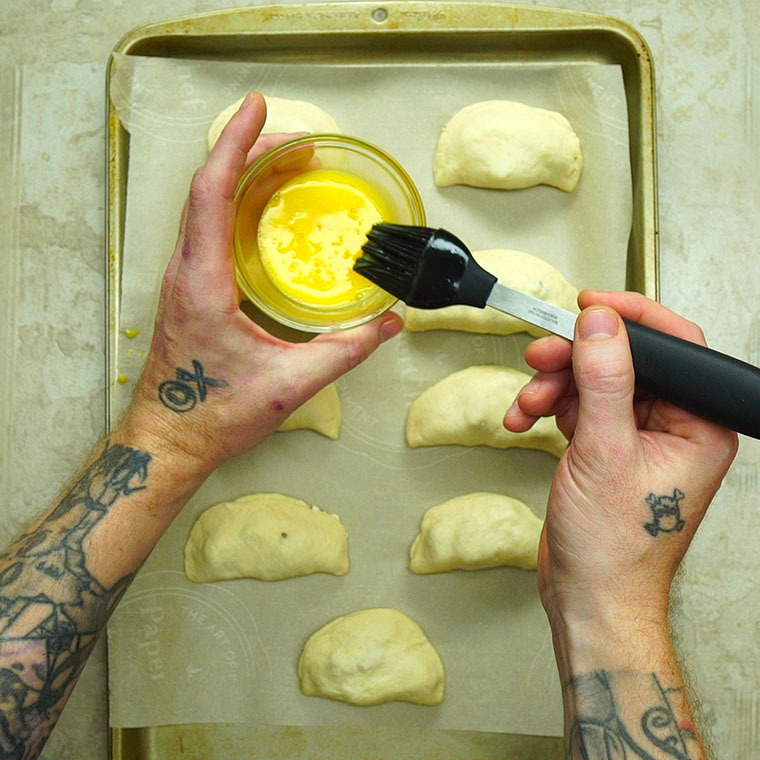 Using prepared pizza dough, it’s so simple baking up a batch of these hand-held little pizzas. You’ll love these for a party – set up a little toppings station and let everyone make their own! 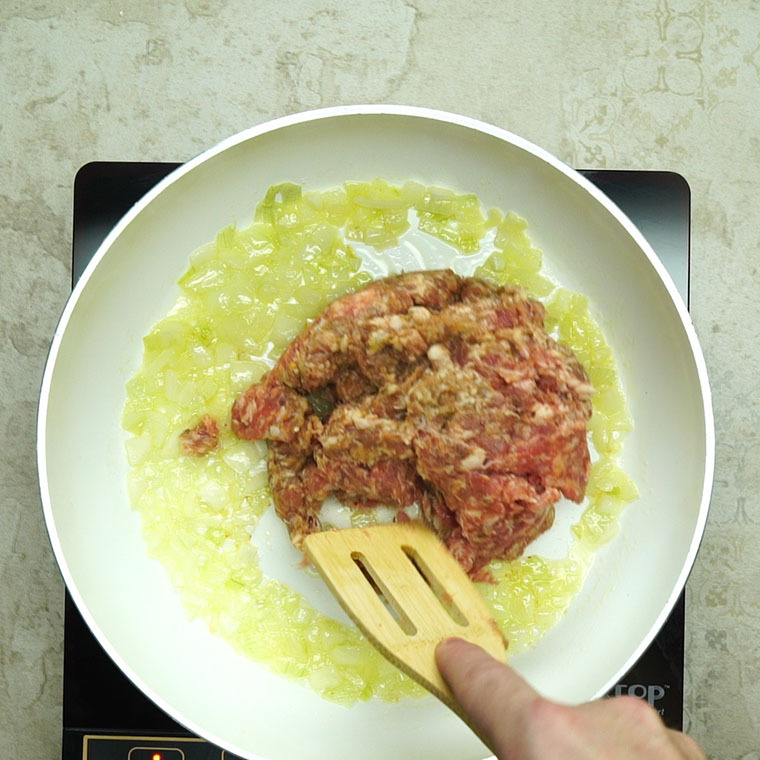 Melt butter in a large skillet over medium-high heat. Add onion and allow to cook for a couple of minutes. 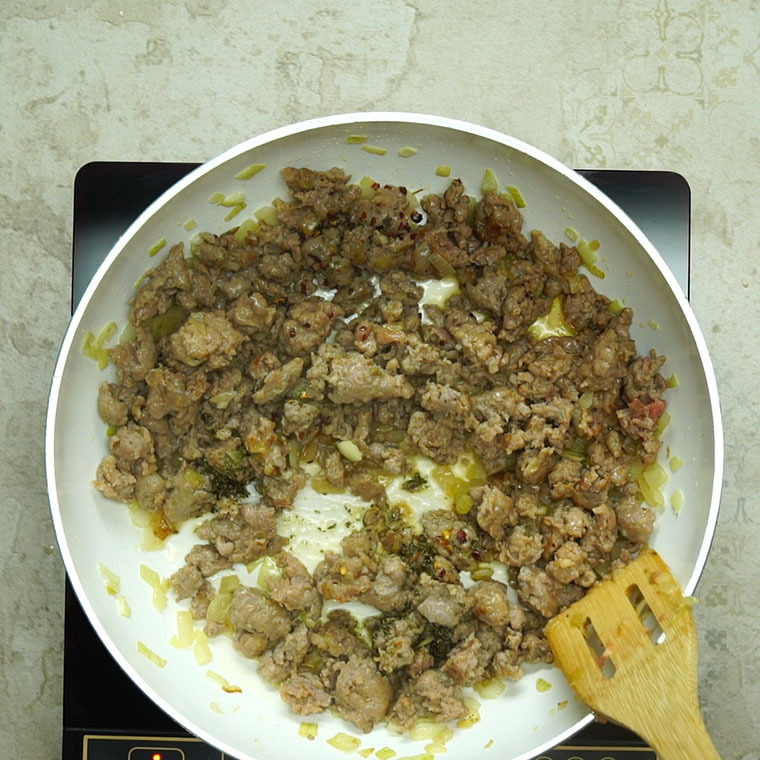 Add sausage and cook until brown, crumbling the sausage as you stir. Add Italian seasoning and red pepper flakes. 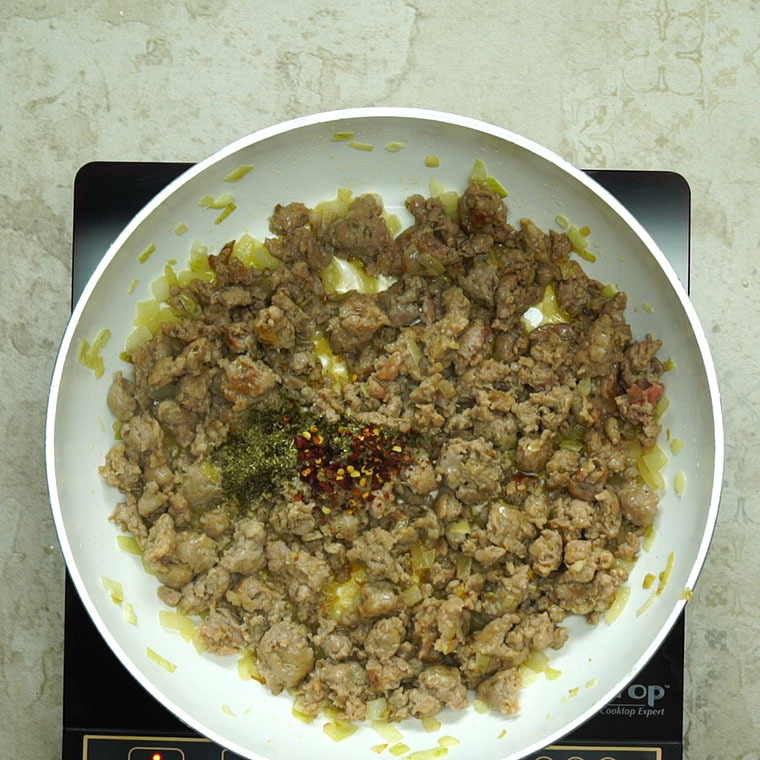 Remove from pan and allow to cool on a plate. 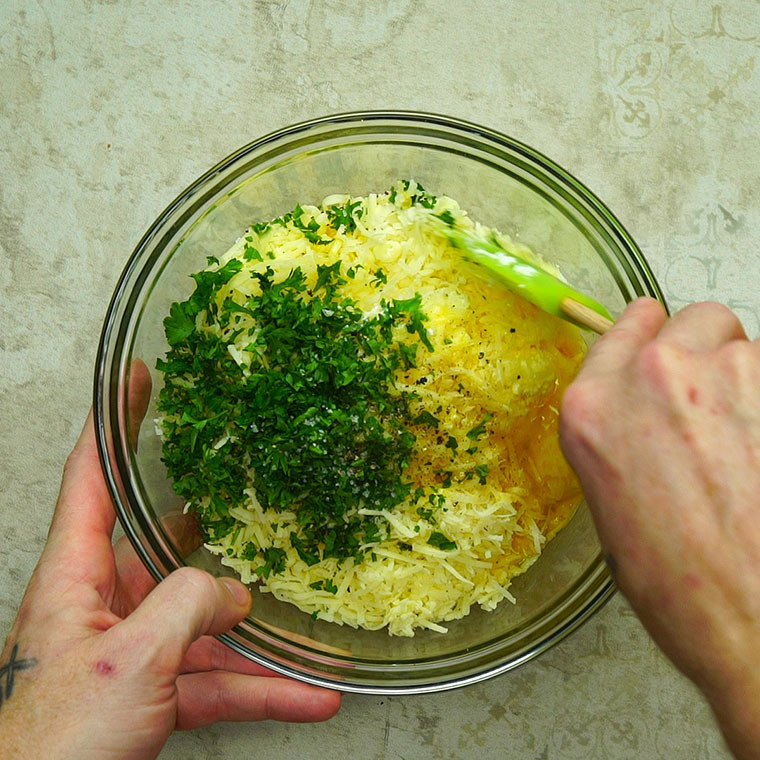 In a separate bowl, combine ricotta, Parmesan, mozzarella, eggs, salt, pepper, and parsley. When sausage is cool, stir it in. Set aside. 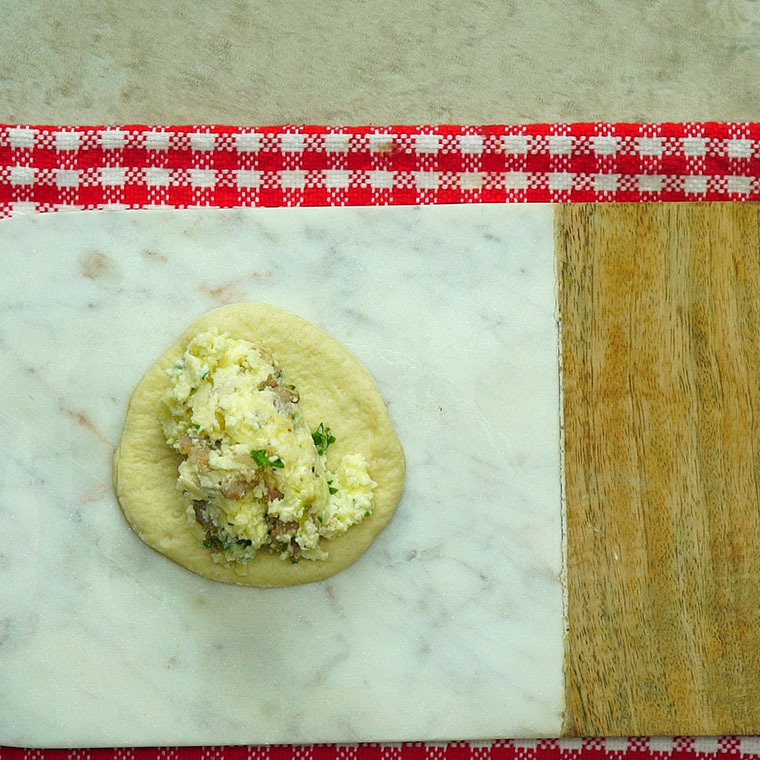 Roll out pizza dough on a lightly floured surface until thin. 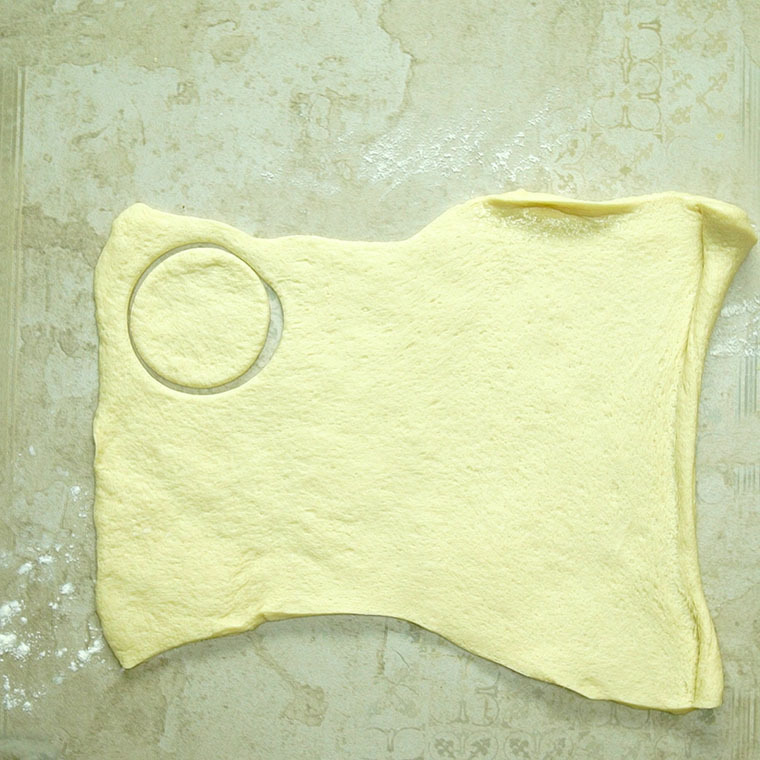 Cut out circles, then spoon about 2-4 tablespoons filling onto half of the dough circle. 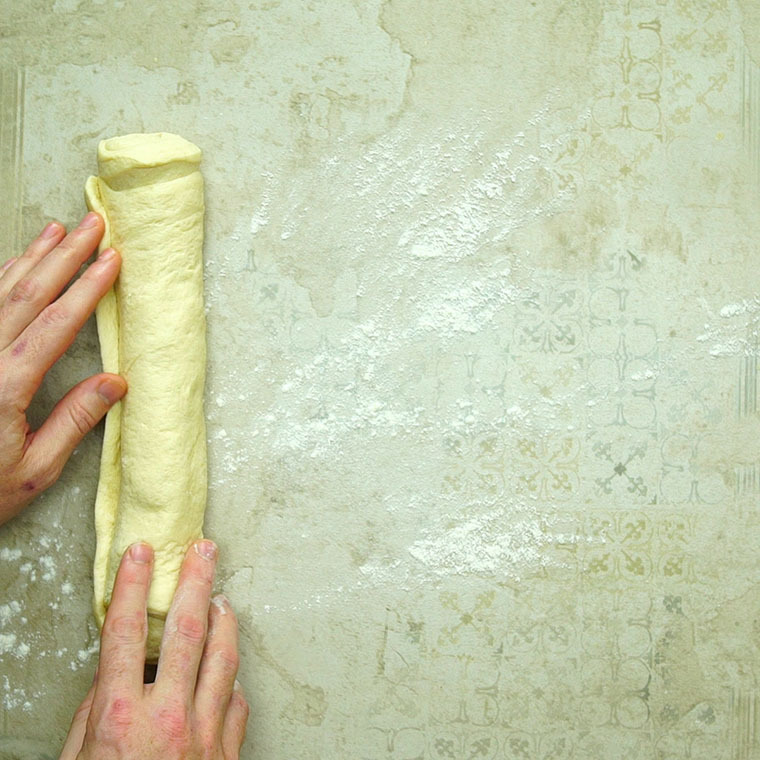 Fold half of the dough over itself, then press edges to seal. 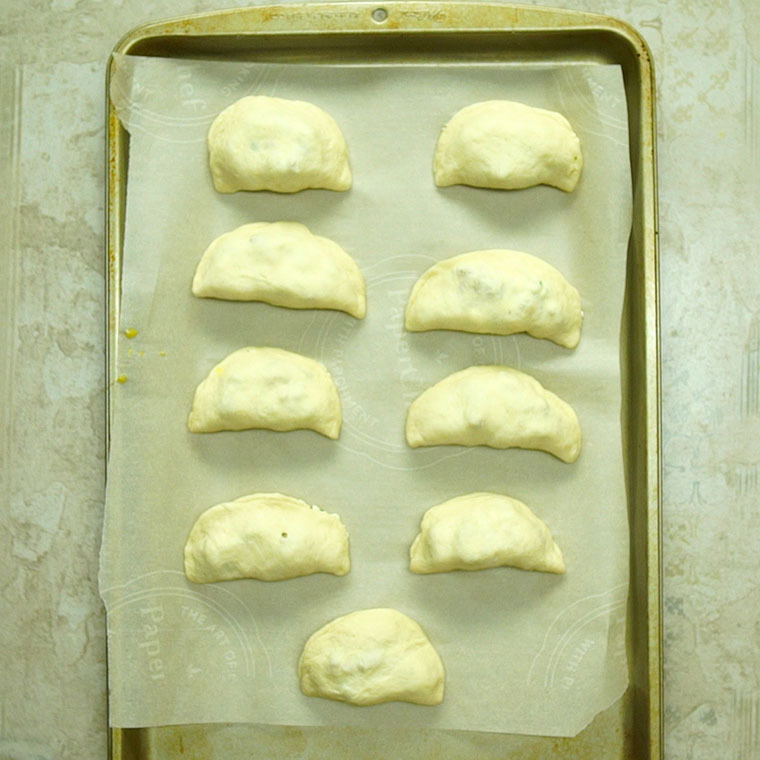 Brush surface of calzone with beaten egg, then bake for 10-13 minutes, or until nice and golden brown. Serve with warm marinara sauce.